This book has been out since spring last year...how have I not read it? Especially when I love Karen Witemeyer's book! But this past weekend I had time to curl up and read, so I purchased it and dove in. Here's the blurb, and we'll chat on the other side. As usual with Karen's books, I was immediately drawn in. I loved Nicole and her strong personality, and I loved how this played into the lessons she needed to learn. To watch it dawn on her where her worth came from...to see her worth for herself, that was a beautiful journey. And funny. And adventurous. And romance--great romance! 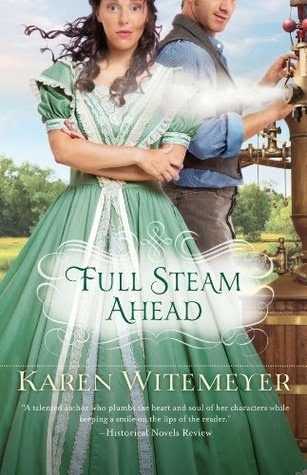 I happily give Full Steam Ahead 5 out of 5 stars! Also, it's time for my February Bookshelf Giveaway. 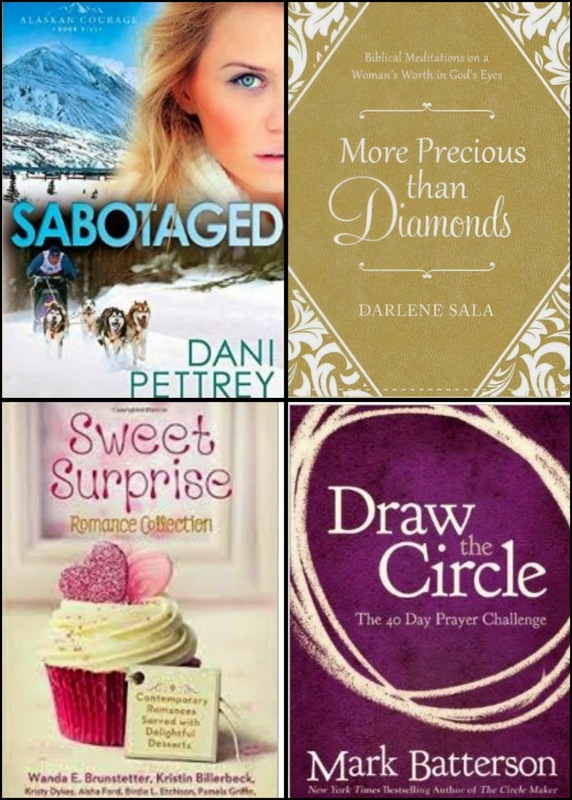 If you'd like a chance to win your pick of one of these books from my bookshelf, let me know here or "like" the picture on my Facebook page:) I'll announce the winner next week! Of course I'd like to win a book, but I've won in the past. You always have nice reviews, and I enjoy stopping by to see what you've read. Thanks!